At my last report, there weren’t a lot of activities to report, but after the meeting in January there were almost too many. There were eight requests and six of them were accepted. At the last meeting the Amador County Library was approved for $3,000, which will be matched by $1,000 each from Amado #17, Excelsior #31 and Ione #33 for a total of $6,000.00 to digitize the Amador County newspapers since 1855 which have been on microfilm and which is slowly deteriorating. Another approval was for $5,000 toward restoration of a refrigerator railcar for the Monterey & Salinas Valley Railroad Museum. Another request to match $4,000 from the Fairmount Pioneer Cemetery in Glendora was also approved. The HPF agreed to match Redwood Parlor #66 of $1,500 to replace the post pillars at the Monterey Custom House. Also in Monterey, $5,000 was committed toward recasting Father Serra’s head that was vandalized several months ago. Lastly, the HPF is matching the Pilot Hill Grange for $1,300 to replace California Historic Registered Landmark #551 plaque which was stolen many years ago. On May 7 Grand Parlor will perform its dedication ceremonies at the Greenwood School, between Cool and Georgetown. Several years ago the HPF teamed with Georgetown Parlor #91 to provide the funding for the restoration of the school. The event will start at 9 a.m. for donuts and coffee, followed by a Grand Parlor dedica- tion at 10. Just down the road at noon a group of HPF committee members will perform a dedication of the replacement plaque for the Pilot Hill Grange. Next to the plaque site is the Museum of the Gold Rush Fire Brigade where there are numerous fire wagons on display, one of which is Ladder Truck #59. It will be open all day. After the last dedication the Pilot Hill Grange will offer refresh- ments at their building on Highway 193 in Cool. 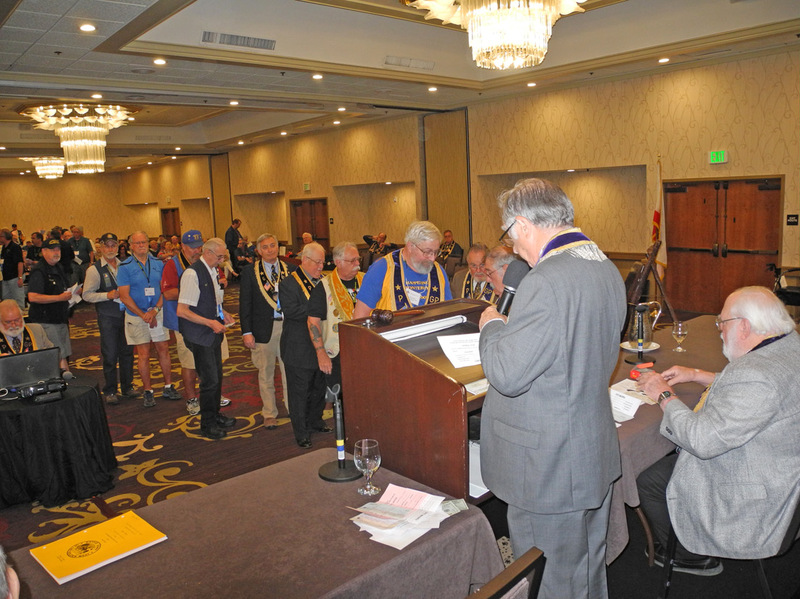 At the upcoming Grand Parlor in May in Rohnert Park, the HPF will have its donors’ reception room for all four days of Grand Parlor in Hospitality Row. Wednesday May 18 the HPF will start with those early morning Bloody Mary’s from 7 to 9 a.m. That evening starting at 7, Ione Ice Teas will make an appearance for the second year. The members of the HPF Board look forward to meeting with you and discussing whatever proj- ect you may have in the future. The display this year includes all of the accepted requests for funding from the HPF.